You know you are working in publishing when happy hour starts at 2 pm on Fridays and the last two weeks of July are exclusively devoted to fixing your international schedule for the next Frankfurt Book Fair, which will mercilessly wear out any oomph you recovered during a lazy August of random reading. Times, though, are changing. And Spanish publishers preparing for vacation experienced it during the dog days of mid July, when an urgent call to update their metadata was delivered by Libranda, the e-distributor owned by the Big Three and seven other well established houses. 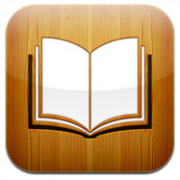 Apple is opening their iBookstore to readers in Latin America and they want things their way. Problem is, “their way” changed three times in a few days. “It’s not easy to ask your metadata team to spend the last Sunday of July working against the clock, with directions that may change at any moment,” says the Digital Strategist and Product Manager of a prestigious medium-sized publisher under the condition of anonimity. Libranda would not comment on the exact date for launching the iBookstore in Latin America, but the haste in their letter to publishers — they have to be prepared by 30 August — points to imminent moves. The communication, dated July 18, states that Apple would only allow three currencies in their iBookstore — US dollars, British pounds and Mexican pesos — a condition that is guaranteed to give publishers headaches and likely spells trouble with other Latin American e-tailers that work with Libranda’s catalogue and price the e-books in the local currencies. “We are already selling our e-books in Argentine and Colombian pesos, and this clause imposed by Apple means a terrible complication at metadata level,” says our source, who also underscores the lack of support of Libranda — “we are working in the dark with nine territories and nine currencies.” To this you must add that Apple only supports prices ending in .49 or .99 cents of a dollar, a circumstance that forces publishers to change all the prices with local e-tailers that sell in their national currencies, a fact particularly important in countries in which e-books are protected by fixed price laws. The solution, although ingenious, does not promise a good start for Apple in the region. In order to use the American currency for selling their e-books in Argentina and Colombia, publishers will be forced to use the Falkland Islands and Guyana as territories of origin of the transaction, two colonial enclaves much resented both by the governments and the populations of Latin America, and at a moment when the Unasur (Union of South American Nations) maintains an active policy opposing British claims of sovereignty over the islands in the South Atlantic. “We have the awkward feeling of mindless improvisation regarding a critical market for Spanish publishers. Latin America is our second natural marketplace; we sell lots of print books there. We can’t afford not being in the iBookstore, which represents some 30% of total digital sales nowadays, but neither can we have a makeshift solution for the region” says the source. Apparently, the iBookstore operations will be directed out of Madrid until Apple finds a suitable executive for Latin America. Going global sure isn’t easy.